Octagonal in shape, this attractive 3.0 x 3.0m Wiveton Summerhouse has been installed in our customer’s lovely garden in Mountsorrel, Leicestershire to use as a year-round relaxation spot, enabling the customer to retreat to some peace and quiet whenever they wish. 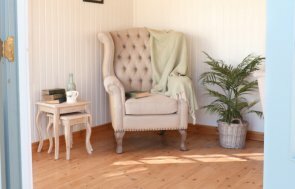 To allow the customer to use their summerhouse whenever they wish, they chose to have double glazed windows, full insulation (walls, floor and ceiling), painted matchboard internal lining in Ivory, and an electric pack, creating a comfortable atmosphere that can be enjoyed inside, whether it’s a warm summer’s day, or a frosty winter’s morning. To give a pretty, traditional feel, the customer chose to have cedar shingle tiles on the roof for a rustic, natural look, as well as leaded windows, and the paint used is our Valtti paint system, in the colour Sundrenched Blue. 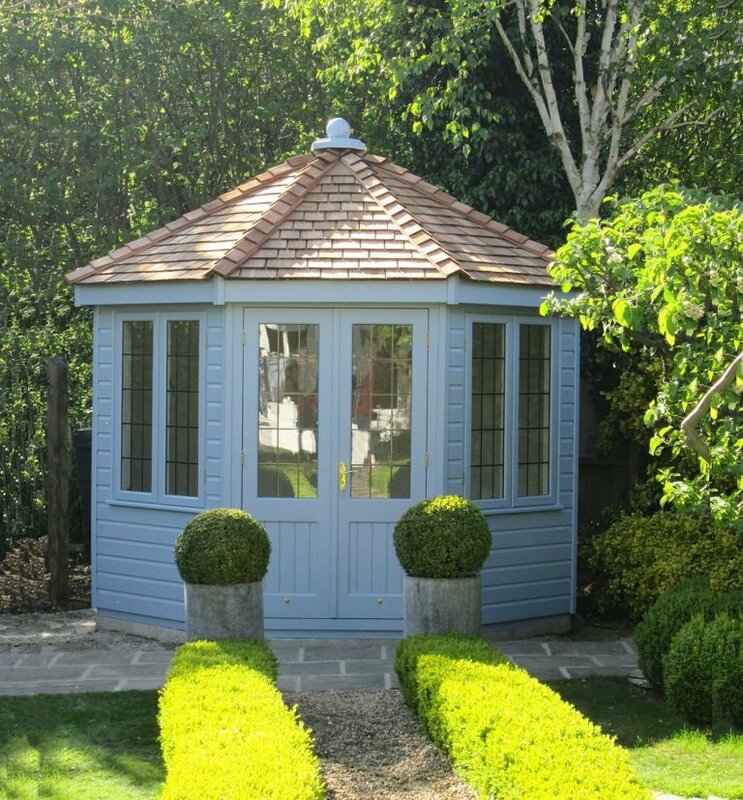 For more information on our range of year-round use garden buildings, which include our Summerhouses, Garden Studios and Garden Rooms, please call us on 01760 444229, or start creating your own ideal summerhouse with our online building planner tool.